[Volunteer at the Telluride Jazz Festival. Photo: telluridejazz.org] Happening in the beautiful mountain town of Telluride is its 43rd annual Telluride Jazz Festival. The event showcases world class jazz music and other funk while celebrating the rich tradition of American jazz and how it has progressed all through the years. Aside from feasting on jazz music, the festival also offers a broad spectrum of special events perfect for adults and children. Be ready to be part of this rich tradition that revels great music matched with a view that will make your jaw drop. 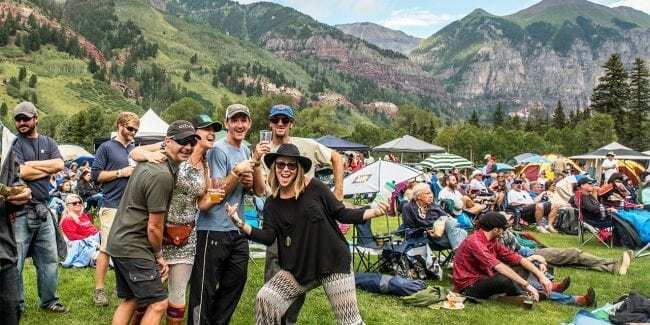 The annual Telluride Jazz Festival will take place from August 9th to 11th, 2019 at the Telluride Town Park. Apart from brilliant performances on the Main Stage, there are also other activities that guests could take part of. There will be daily winery tasting, children’s activities, late night club shows, and more. Join some morning yoga sessions with other festival goers or discover the past when you participate in the historical walking tours.